FIG publication No. 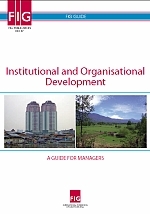 47: Institutional and Organisational Development - A Guide for Managers. FIG Guide, 2010.